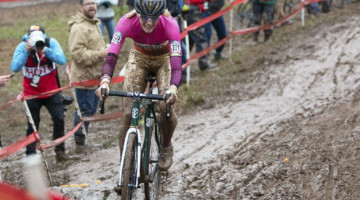 This marks the start of the new online “In the Saddle” feature for Cyclocross Magazine. Bi-weekly, we’ll be chasing down a new pro racer to ask them a series of questions that readers will help us decide on. Want to know why Jonathan Page became an expert at e-brake turns in the snow? 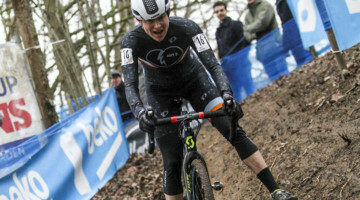 Curious about how Chris Jones transitions from road to cyclocross? Drop a comment below with a question or rider suggestion or email molly [at] cxmagazine.com. 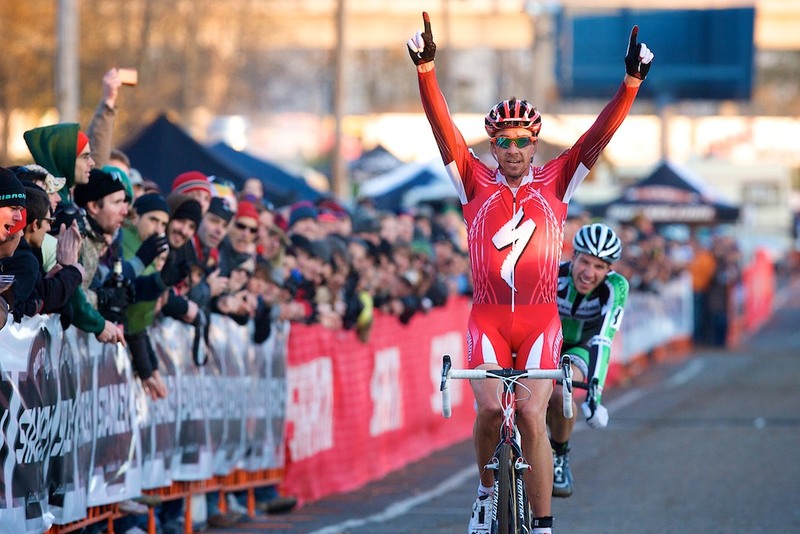 For our first victim, we give you Todd Wells, three-time cyclocross National Champion and Olympic mountain biker. Wells has the convenience of wearing the same jersey regardless of the race and discipline he’s contesting this year—as he’s the reigning US champ in cross country, short track and cyclocross. We asked Wells some questions about the contest, upcoming races and, of course, about next cyclocross season. Training habits of pro racers intrigue us, so naturally we wanted to get a look at both his off-season (it’s short!) and height-of-season training plans. Thankfully, Wells was more than happy to give us a glimpse into his world, writing to us as he waited for his plane to take off for Europe, where he’ll be racing in the next two rounds of the MTB World Cup. 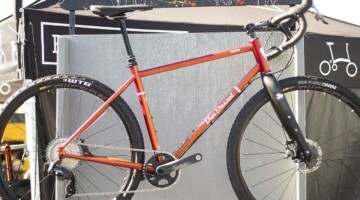 Cyclocross Magazine: How did you end up in the Reinventing the Outdoors contest? Todd Wells: I got hooked up with Reinventing the Outdoors through Jay Ku at GOOD. GOOD is an integrated media company about the ideas, people and organizations driving change in the world. 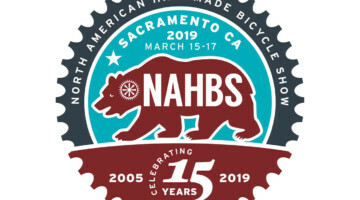 They reached out to me about the opportunity to represent the mountain bike community and to try to win the FORD grant for a trail advocacy group. I look at it as representing all outdoor users though, since we all benefit from more trail access and better maintenance. It just happens to be a MTB trail group that I’m representing. CXM: What made you choose Sonoran Desert Mountain Bikers as the organization you wanted to help? Wells: GOOD contacted me in February when I was training at my second home of Tucson, Arizona. I graduated from the University of Arizona and have gone there to train in their warm winters since I started racing professionally. I have spent many hours riding and running on the very trails created and maintained by SDMB, so it was an easy decision. In addition to fighting for trail access, maintaining the existing trails and developing new trails, they’re also involved in introducing kids to cycling who might not otherwise get the chance. CXM: Are there any specific projects planned if you do win? Wells: SDMB will be the recipient of the grant if we are lucky enough to win. Like most non-profit groups, they are under-funded, and it’s amazing how far they can stretch the little money they have. It’s because the group’s members are so dedicated to the trails and the outdoors that they have been able to achieve such great results, which is the same for all local trail groups. 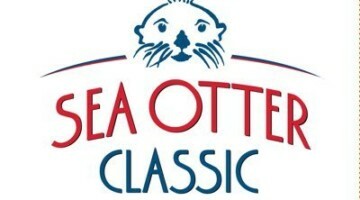 CXM: What major races are on your radar? Wells: Funny you should ask that! I’m typing up these answers as I’m sitting on a plane to the UK for the next two rounds of the MTB World Cup. I race this weekend at the second round of the World Cup in the Dalby Forest, and round 3 is next weekend in Offenburg, Germany. Seems like I’m always racing somewhere no matter what time of the year it is. 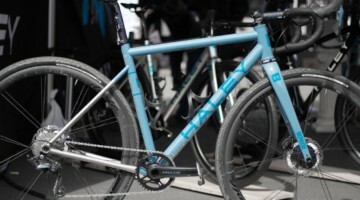 CXM: Any goals for the coming cyclocross season? Wells: Phew, I haven’t gotten that far yet, but I would love to defend the National Championship title I won this past year in Bend. 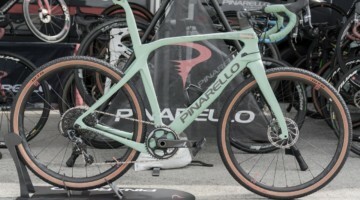 I would also like to do well at CrossVegas one of these years since it’s the closest thing we get to a cyclocross World Cup in the US with all the European talent coming over. The speed of the race is so high I always find it difficult coming straight out of the mountain bike season; the road guys are just flying then. 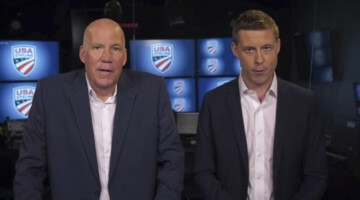 CXM: How do you feel about moving Nationals to January in Madison? Wells: We are going to have to wait and see how that move pans out. 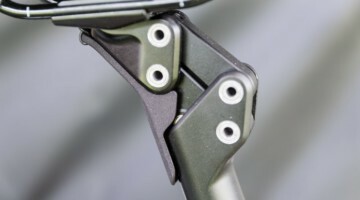 For me personally, it’s a bummer since my first mountain bike World Cup is unofficially taking place in the middle of March for 2012 and will be used for Mountain Bike Olympic Selection. That means there are barely two months between seasons. It’s very hard to be in top form in January, again in March, and to hold that form through the Olympics in August. 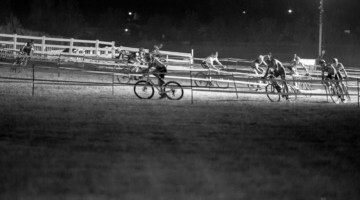 I am stoked to see that cyclocross has gained so much traction in the US and that people want to have a longer season. I don’t know how it will affect all the amateur categories moving Nationals after the holiday season though. It’s very hard to stay motivated and fit as a professional during that time of the year; I can’t imagine trying to do it with a full time job, family and holiday commitments as the weather deteriorates. 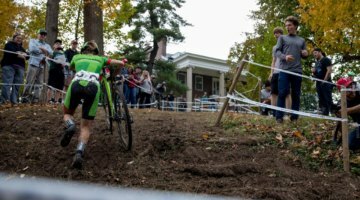 CXM: How do you prepare for cyclocross in the off-season? 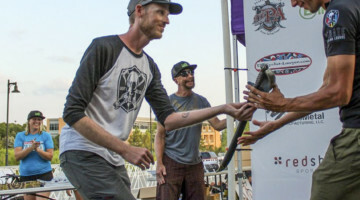 Wells: I generally start racing mountain bikes in March after the cyclocross season, and our mountain bike World Championships are usually three days before CrossVegas, so I don’t get much time to specifically prepare for cyclocross during the mountain bike season. I do most of my cyclocross-specific preparation during the cyclocross season. That is one reason why I seem to come on later in the year than some other guys. As a mountain bike racer, I tend to spend more time at threshold grinding it out during the summer than a road racer who is doing more high-speed legwork and jumps. 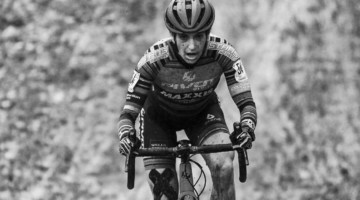 I also develop pretty good technical skills since my races are spent diving off wet rock drops on the World Cup circuit while seeing cross eyed. My point with this is the early fall races are usually very fast, hard pack and not technical at all, so I’m at a disadvantage there. As winter comes, the weather generally gets worse so the courses become more technical, muddy and slower, and they play more to my strengths as a mountain biker. 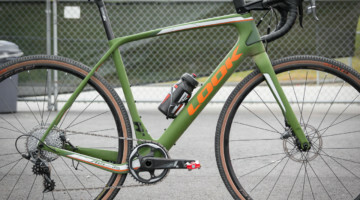 If I did not race mountain bikes and could focus solely on cyclocross, I would do a mixture of road and mountain bike racing in the spring and summer. 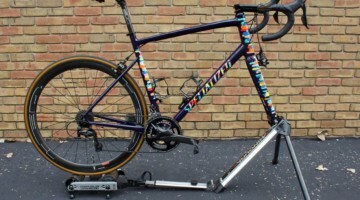 I would probably do a road stage race in August and a few crits towards the end of the summer to get my leg speed and high end going. I feel like road racing is the best preparation for the early season cyclocross events and the mountain bike skills and fitness pay off later in the year. CXM: What’s a typical off-season training week like for you? Wells: I generally have about 10-12 weeks when I’m not competing in either ’cross or mountain biking. I take the first four weeks after cyclocross season completely off the bike. I have a compressed off-season, so I do a compressed de-training period. I spend most of those days sitting on the beach. I will go for the occasional run with my wife towards the end of the period. Next I start a seven-week base period where I begin with 15 hours the first week and work my way up to 35 hours by the end of the block. I do 65% on the road and 35% on the mountain bike. This is all time spent below threshold, so the tempo is steady but not easy. 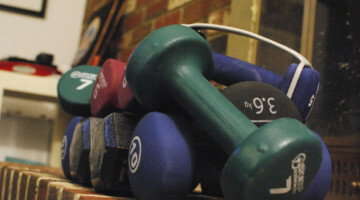 I also incorporate weights twice a week and runs twice a week into this training phase. When the base is done, I take a short break and it’s time to go racing again. I build in more intensity as the season progresses. Racing both cyclocross and mountain bikes, I feel like I have to train into top fitness rather than hitting either season firing at 100%. 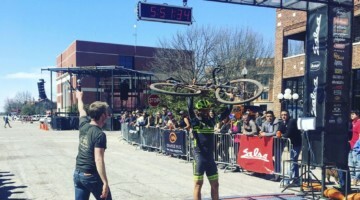 CXM: During cyclocross season, what does a typical training week look like? 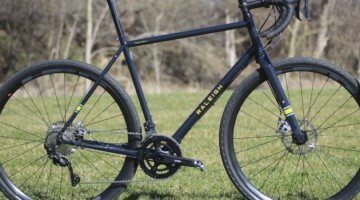 CXM: Any tips for new racers who are thinking about starting cyclocross in the fall? Wells: Definitely do it! ’Cross is such a great sport. 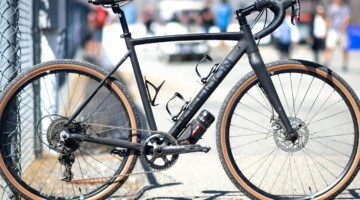 If you race off-road or road, cyclocross is a great complement to your current discipline. If you don’t race either and just want to do ’cross, it’s even better because you can focus 100% on the nation’s fastest growing discipline. 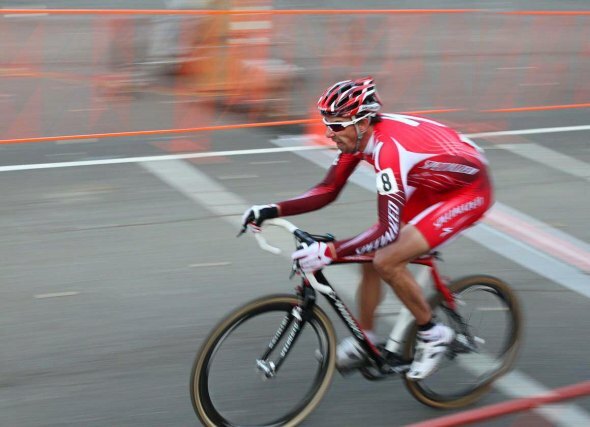 When I started racing ’cross I used my mountain bike and had a blast right away. You just need to get out there and do it the first time and you’ll be hooked. Make sure you do some hard training before your first race, don’t worry too much about running either. Most ’cross races only have a few steps of running at a time, so it’s more important to spend a half-hour practicing hopping on and off your bike than it is to worry about pounding the pavement. The more you race, the better your skills will become and the faster you will go. 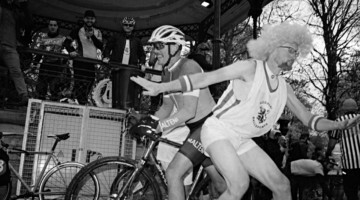 Just remember to have fun – that’s what ’cross is all about for me.